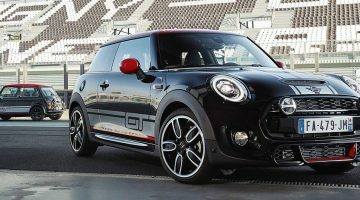 Mini has confirmed that it will release its most powerful production model ever in 2020 as it brings back the John Cooper Works GP badge in a new limited edition 300bhp flagship. Mini revealed a Mini JCW GP concept at the 2017 Frankfurt motor show, and we expect this model to inherit that concept’s aggressive aesthetic, albeit in a slightly more toned-down form. The engine itself is mooted to be the same ‘B48’ TwinPower turbocharged 2-litre four-cylinder from BMW, but tuned to over 300bhp with upgraded turbos and internals. A 302bhp version has already been detailed in the upcoming X2 M35i; we suspect these two specifications will share rather a lot. The TwinPower unit utilises a single twin-scroll turbocharger, rather than the twin-turbo layout the name might suggest, but regardless will give this third Mini GP some serious firepower. 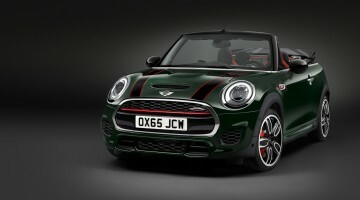 This new GP isn’t the first track-focused F56-generation Mini John Cooper Works, with evo having a hand in developing the JCW Challenge special edition in 2016, which combined adjustable coilover suspension, lightweight wheels and Michelin Cup 2 tyres (among other upgrades). Although incredibly focused, the Challenge produced ‘just’ 228bhp from its 2-litre turbocharged four-cylinder engine. We suspect that this GP model will follow in its predecessors’ footsteps in offering a heavy track focus, but with an extra 75bhp should be considerably quicker in a straight line. The stripped-out nature of the previous GPs suggest this model will also do without many of the creature comforts found in current Mini John Cooper Works models, not to mention the rear seats, which have typically been absent in GP models in lieu of a rigidity-improving cross-brace. The classic grey, silver and red colour palette will also be applied, so too the classic four-spoke wheels. Mini has not released any further details, aside from confirming that it will arrive in 2020 in a 3000-unit production run, but expect Mini to first reveal an all-electric Mini that should form the angel to this GP’s devil in the Mini range. We still have a wait to see the new GP in the flesh, but hopefully it’ll finally bring some proper performance thrills to this latest generation of Mini.